Butler Soy Curls are a delicious meat alternative handmade in Oregon using Non-GMO soy. Soy Curls are extremely versatile and great for use in tacos, burritos, stir-frys, BBQ, mock chicken salads, etc. 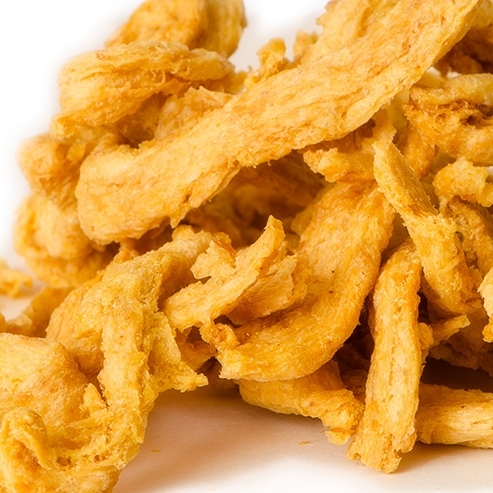 Soy Curl Fines are a fantastic alternative to TVP, derived from the smaller bits and pieces of the Soy Curls. Butler Chik-Style Seasoning is available in 10-oz shakers.